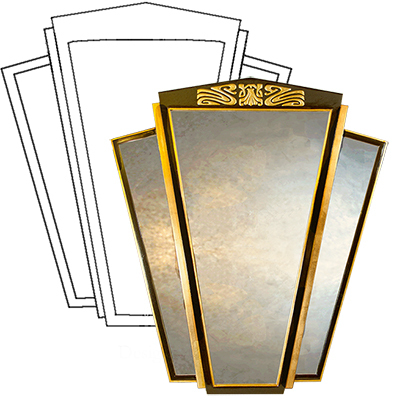 Art Deco Wall Mirror Designs. My Art Deco Wall Mirror Collection is growing slowly & I'm keen to add new mirrors to it so I've drawn up some designs which might which might appeal to you. Alternatively if these's a specific design idea you have in mind then get in touch & I can work it up into a design & provide you with a quote for you to consider.